Cardiff is a place that means a lot to us. 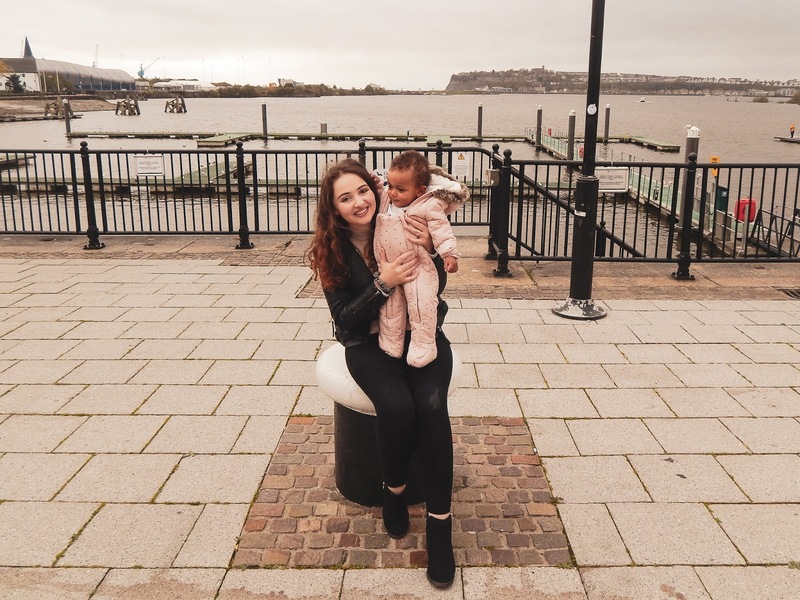 It is the place where I went to uni, where Isaac and I had our first date, where we got married, where I graduated, and where we found out we were pregnant with Ava. This city encapsulates so many amazing memories and a beautiful chapter in our lives. And it is also a place that I know inside and out so I thought I would play honorary local and give you the low down on everything from where you can get the best cakes to where you can shop til you drop. I am starting off with my favourite part of Cardiff and that is City Road. Located in Roath, it is a bit more rough and ready than the more central parts but that is kinda why I love it. City Road is basically a really long street full of takeaways, restaurants, barbers, beauty salons, and international shops. It showcases how amazing diversity is and what awesome things come from it. 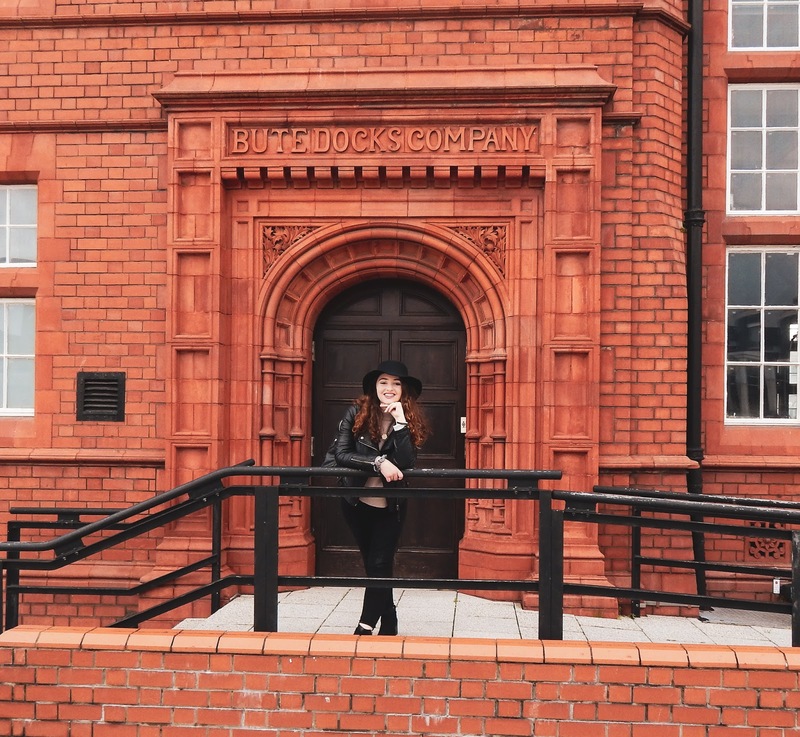 If you want to see what Cardiff is truly about, I suggest checking this place out. And, in particular, heading into a Lebanese restaurant and getting yourself a huge platter (you won't regret it). Right around the corner from City Road is Roath Park. 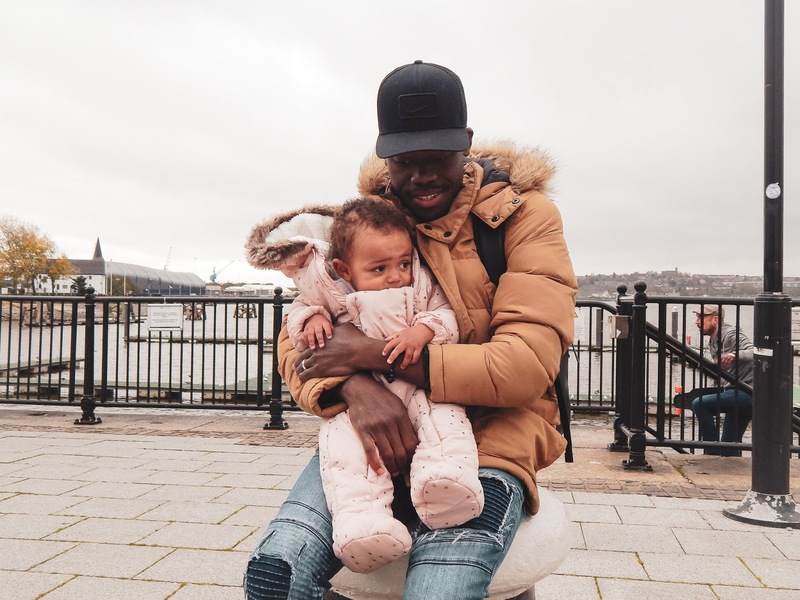 It is a huge expanse of park where you can take the kids to climb on the play equipment, have a kick about, explore the gardens and greenhouse, or head to the lake and rent a peddle boat. Isaac and I spent so much time at this park when we lived in Cardiff and it is easy to understand why. There is so much to do there and I hope to one day take Ava back there to enjoy it too. Also don't forget to grab an ice cream from Joe's Ice Cream Parlour whilst you're there (I can highly recommend the Turkish delight flavour and Isaac can recommend all of the flavours as he probably ate all of them at least 5 times). Whilst you're in Roath, you should probably check out this bakery (AKA donut heaven). Blanche Bakery is a recent addition to Cardiff - one that I sadly missed out on but made a point of visiting when I went back there. Their vegan donuts are the cutest and, I can now assure you, they are also the yummiest. I tried the French toast donut and it was so light and fluffy with a cinnamon icing and some fruit on top. Lush! Now that we have exhausted Roath, I'm gonna chat to you guys about Cardiff Bay. 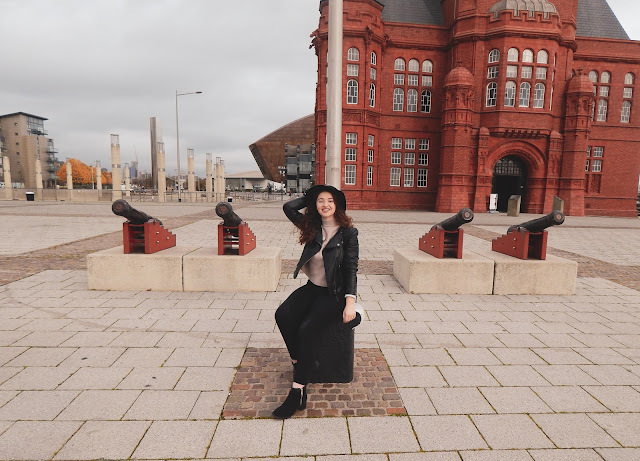 I feel like Cardiff Bay is really quite fancy. They have a lot of more fine dining restaurants and bars as well as the chain ones we all know and love. But our usual spot was a little pub inside the Red Dragon Centre (we actually spent our anniversary there and watched 3 football matches lol fun) but they have loads of other stuff to do in there like bowling and cinema and eating chips in Five Guys. Also you can get a boat from Bute Park near the castle in the centre right to Cardiff Bay which is a lot more fun than walking. 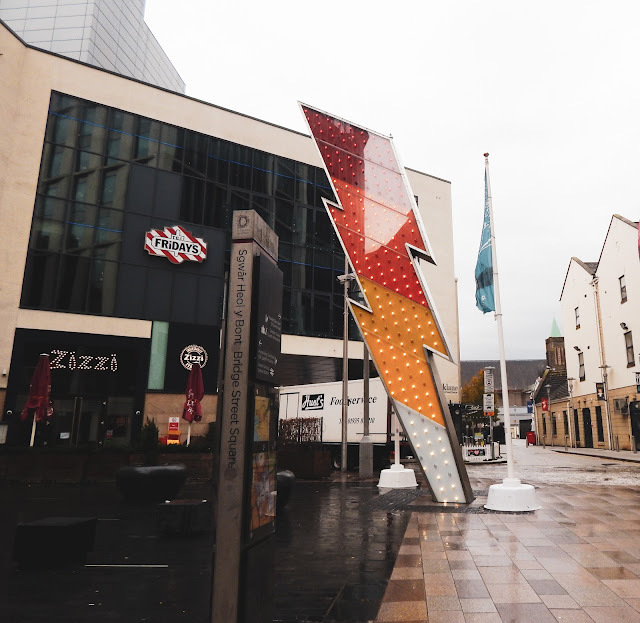 Cardiff is often described as the 'city of arcades' and that is because, you guessed it, there are a hell of a lot of arcades. And they are just so pretty (especially at this time of year). 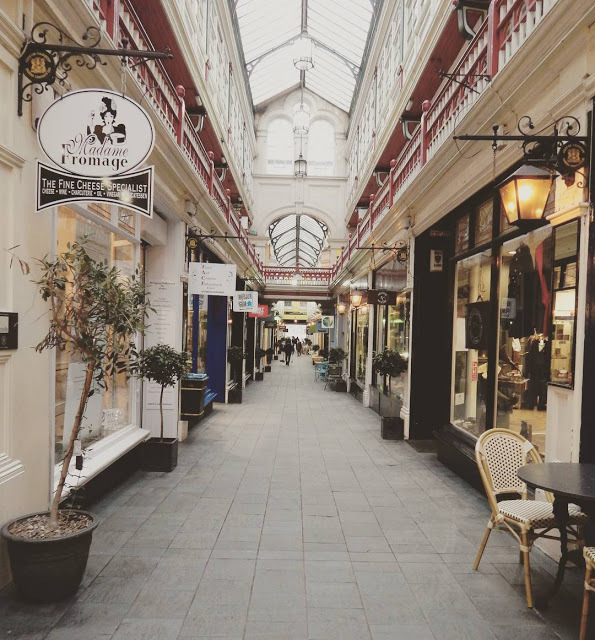 The arcades give Cardiff character and host the very best of local, small businesses. 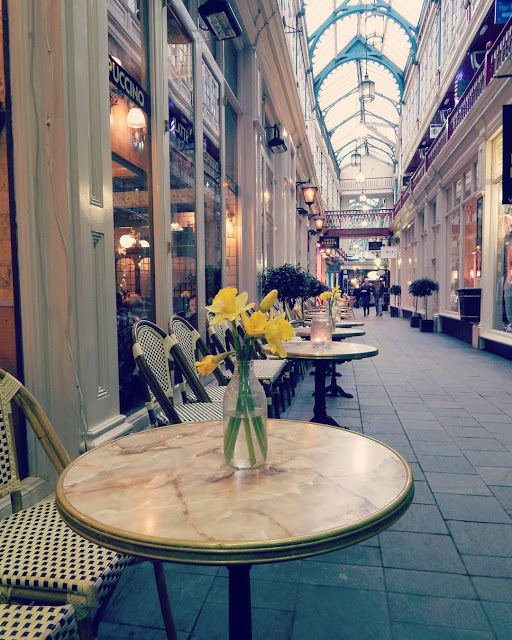 You will find cute brunch spots, delicatessens, vintage clothing shops, and so much more nestled away in these arcades. But my fave arcade shop has to be Madame Fromage because I love cheese (who doesn't?) and this place has so much cheese to offer. And they do macarons too. When you think of tea in Cardiff, most people would probably recommend Barkers Tea Rooms. Not me though - I absolutely love Waterloo Tea. They have so many different types of tea but, my fave thing about them, they do all different cakes and brunch bits too. I got their avo toast before and it was lush but my fave was their lemon polenta cake. Deffo worth a visit (or, at least, to take a slice of cake home with you). This indoor market is located right in the centre of town but is easily missed. This market is filled with local traders selling everything from spices to Welsh cakes and is a must-see. I used to buy my veg from this market and would always pick up a few Welsh cakes whilst I was there - they were always so light and buttery and delicious. So, if you're still hungry after the Lebanese platter, ice cream, donuts, Five Guys fries, cheese, and cake, be sure to pick up some of those! Last but by no means least, we have Cardiff Castle. It seems almost rude not to mention this castle as it is a huge part of Cardiff. I have been inside Cardiff Castle but never 'inside inside' - I mean, I have only been around the grounds. But, from what I saw of the grounds, I would deffo recommend a visit. They have cool underground passageways that are made to look like how they would have been during wartime as they were used as bunkers and that really interested me. And you can go to the top of the tower so if not for history, visit for the gram. If you enjoyed this post, I would love it if you went and voted for me in The UK Blog Awards in the Lifestyle category. Just click here! 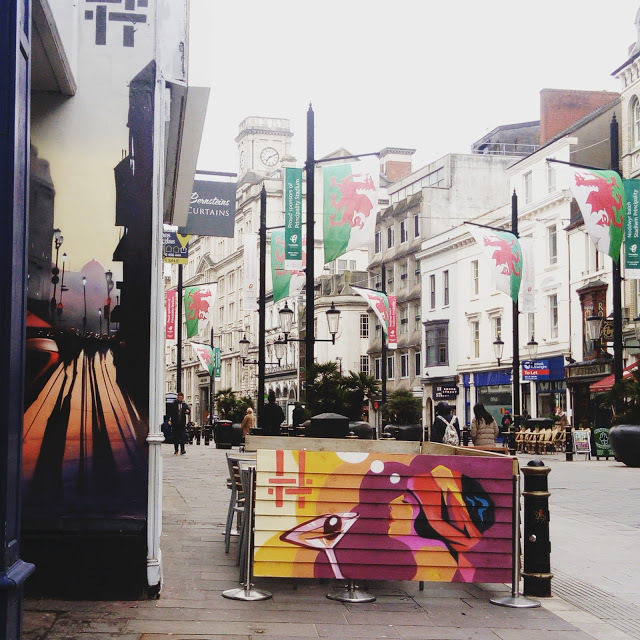 I love Cardiff, it is such a lovely city!